do you remember the last cookie from the cooky book, jubilee jumbles? and remember that there are many variations of the jumble? 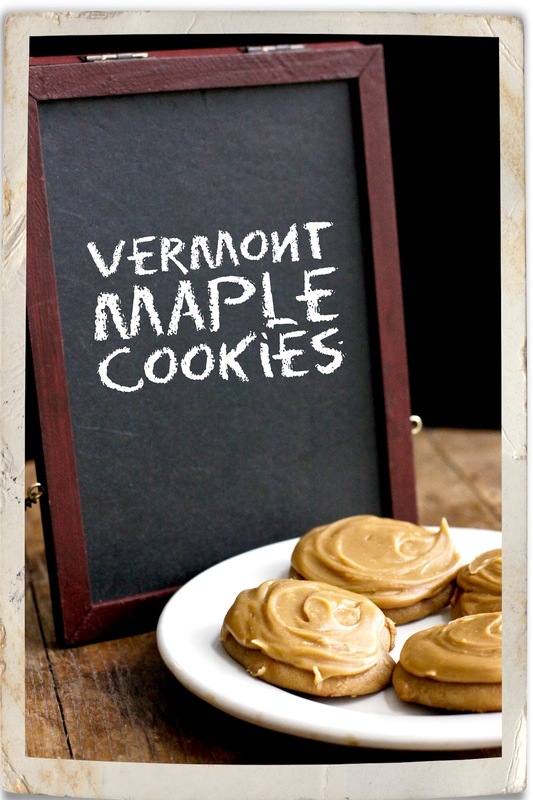 well the vermont maple cookies are yet another! make jubilee jumbles (find the recipe here) but substitute 1 tbsp maple flavoring for the vanilla. spread cooled cookies with maple butter glaze (below). heat 1/2 cup butter until golden brown. blend in 2 cups sifted confectioners' sugar and 2 tsp maple flavoring. stir in 2 to 4 tsp of hot water until icing spreads smoothly. so now that i've made jubilee jumbles twice, i've decided that i probably won't make them again, as in, not my favorite cookie. however, the maple butter glaze is nice, it reminds me of caramel corn. i think i will be making that again, yum!